The Victorian Commission for Gambling and Liquor Regulation has released the Sixth Review of the Casino Operator and Licence. On 7 June 2018, the Victorian Commission for Gambling and Liquor Regulation heard an application from TTHL Pty Ltd to increase the number of pokies at the Torquay Hotel from 30 to 45. The Department of Justice and Regulation has released a discussion paper to seek views from industry and the community on current and future wagering and betting licensing arrangements in Victoria. In this edition Louise discusses: The Foundation and AFL Victoria's Love The Game Round, funding opportunities for Gambling Harm Awareness Week, loot box senate inquiry, The Foundation’s third biennial conference, Gambling harm: Taking action for change. On 27 July 2018, the Victorian Commission for Gambling and Liquor Regulation released figures on pokies expenditure for the 2017–2018 financial year. The Victorian Responsible Gambling Foundation’s acting CEO, Craig Swift, today congratulated AFL Victoria for its commitment to reducing the exposure of young people to sports betting advertising. 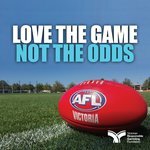 In an environment in which sports betting advertising is prolific, and sport and betting are increasingly seen as going hand-in-hand, we have an obligation to engage with young people and inform them about the risks and potential harms associated with gambling, according to Victorian Responsible Gambling Foundation acting CEO Craig Swift. At the age of 21, John* had lost everything. Two years later, he’s on the way back. In the week leading up to the AFL Victoria 2018 “Love the Game” themed round, we caught up with Darren Crocker. 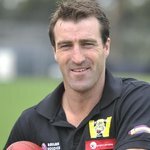 Darren was a versatile North Melbourne player for 14 years, notching up 165 games, with a few injuries in between. 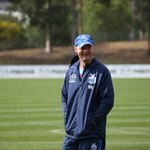 He is currently North Melbourne’s Director of Coaching and Midfield Coach. Darren particularly appreciates the “Love the Game” round because it serves as a reminder to fans, club officials and players that the game, at the grass roots or professional level, retains its pure spirit, despite the increasingly aggressive presence of sports betting promotions and advertising. “The Victorian Responsible Gambling Foundation is encouraged to learn that another of Victoria’s AFL clubs, Collingwood FC, has made the decision to rescind its interests in gaming,” the Foundation’s acting CEO, Craig Swift, said this afternoon. During 20-22 July, elite and community sporting clubs will put aside traditional rivalries to unite players, clubs and fans to focus on our shared love of the game, not the odds. The round is designed to remind kids that sport and betting don't have to go together and encourage parents, coaches and others to talk to kids about gambling, especially the risks they face. 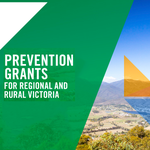 Young Victorians, Aboriginal communities and culturally and linguistically diverse groups are the focus of five new projects awarded funding under the Victorian Responsible Gambling Foundation’s Prevention Grants for Regional and Rural Victoria program. 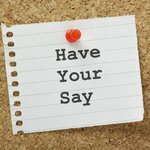 In this edition Louise discusses: The Foundation's research agenda 2018-2022, funding opportunities for early career researchers, public awareness campaign The 100 Day Challenge, Reclink Community Cup, Love The Game Round, prevention programs, The Foundation’s third biennial conference, Gambling harm: Taking action for change. Minister for Gaming and Liquor Regulation Marlene Kairouz launched a library of videos, forming part of suite of new resources aimed at reducing gambling-related harm in culturally and linguistically diverse (CALD) communities at a Refugee Week event in Hoppers Crossing today. Developed by the Horn of Africa Communities Network (HACN), the videos form part of their 'Emerging Communities Responsible Gambling Program' designed to help new migrant communities understand the risks associated with gambling, overcome the stigma related to gambling harm and encourage people to seek advice and support. Victorians who think they may benefit from changing the role gambling plays in their life are encouraged to take up the Victorian Responsible Gambling Foundation’s 100 Day Challenge, released today. Ideal for anyone who wants to take a break from, or cut down on the amount of time and money they spend on gambling, the 100 Day Challenge offers participants 100 alternative activities over 100 days. The Foundation has released a new program for people who want to change their relationship with gambling – the 100 Day Challenge. Available in app and web-based formats, the 100 Day Challenge offers participants 100 activities over 100 days, allowing them to take a break from, or cut back on, their gambling. On 13, 20 and 27 April 2018, the Victorian Commission for Gambling and Liquor Regulation heard an application from Darebin RSL Sub-Branch Inc to increase the number of pokies at the Darebin RSL from 65 to 80. On 5 and 6 April 2018, the Victorian Commission for Gambling and Liquor Regulation heard an application from Werribee Football Club Limited to increase the number of pokies at The Tiger's Clubhouse in Hoppers Crossing from 75 to 85. The Andrews Labor Government will provide a further $300,000 in grants for early career researchers to study Victoria’s gambling behaviours and ways to reduce harm. 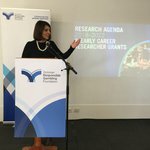 Minister for Gaming and Liquor Regulation Marlene Kairouz today launched the Victorian Responsible Gambling Foundation’s (VRGF) grants program and Research Agenda 2018–2022 at the Footscray Community Arts Centre.